Police have charged two teenagers in connection with a fatal Edmonton house fire that claimed the life of a five-month-old baby. Bronson Woycenko, 19, and Jessica Tammerand, 18, have both been charged with arson, mischief and disregard for human life. Woycenko has also been charged with second-degree murder. According to Cordell Brown, the father of the baby, both teens had been tenants in the house before they were kicked out in February. Kyle Whitford, another of Brown’s tenants, says that’s just how his landlord is: lenient on late rent and willing to help pay bills. The fire, which broke out early Tuesday, started when patio furniture near the house’s front porch was set ablaze, police say. Eight people were in the home at the time. Brown and five others managed to escape on their own but Brown’s wife, Angie Tang, and their son Hunter had to be rescued. Hunter died in hospital. Tang remains in critical condition. The teens were arrested Friday night, police say. Brown told CTV Edmonton that he suspected Woycenko and Tammerand were responsible, telling investigators as much early on. Brown said that he’s been suffering from anxiety attacks since the fire. He has been taken by police twice to hospital under Alberta’s Mental Health Act and has been the target of hateful comments on social media. “I'm praying that I'm not a suspect anymore ‘cause I swear to God, I had nothing to do with this fire,” Brown said. 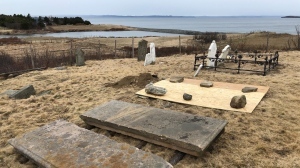 As for the charges laid in the case, Brown believes that they don’t go far enough and that the teens should also face seven attempted murder charges -- one for each of the fire’s survivors. 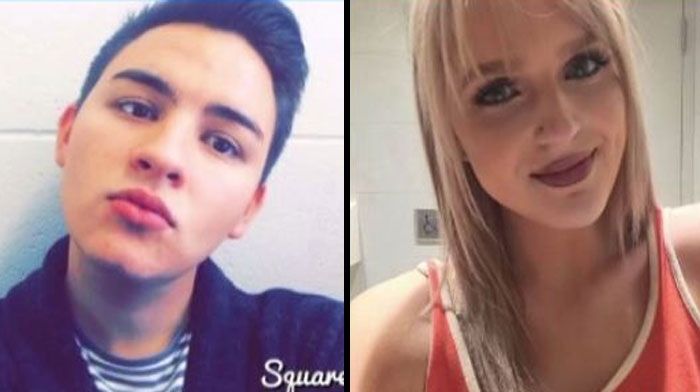 Bronson Woycenko, 19, and Jessica Tammerand, 18, have both been charged with arson, mischief and disregard for human life.